It is registration season for genealogy institutes. Now that the Salt Lake Institute of Genealogy is over (and it was very successful) it is time to think about registering for upcoming spring and summer genealogy institutes. In fact, registration for the Forensic Genealogy Institute opens TODAY and IGHR opens TOMORROW. The Forensic Genealogy Institute offers twenty-plus hours of significant hands-on instruction with real-world work examples, resources, sample forms and work materials. The embedded practicum offers an actual forensic case study that will be covered from start to finish. Those who satisfactorily complete the course will receive a Forensic Genealogy Institute Certificate of Completion. Michael Ramage, J.D., Certified Genealogist (sm); Kelvin L. Meyers, Forensic Genealogist; Leslie Brinkley Lawson, Forensic Genealogist; Dee Dee King, Certified Genealogist Forensic Genealogist; Catherine W. Desmarais, M.Ed., Certified Genealogist; and guest speaker Debbie Parker Wayne, Certified Genealogist, CGL. Registration for IGHR 2013 will open Tuesday, January 22, 2013 at 11:00 a.m. Eastern time (10:00 a.m. Central). A link will be provided on the IGHR Registration page to the online registration at that time. The course openings will once again be staggered to prevent server overload - more on this below. There is a downloadable online registration guide that ALL prospective attendees will want to review before registration begins. The IGHR 101 page has a new addition titled "What is IGHR?" This downloadable PDF provides a brief overview of what IGHR is, what it includes, and what you can expect when you attend. Your Immigrant Ancestors’ Stories: Writing a Quality Narrative with John Philip Colletta, Ph.D., FUGA. Advanced Land Research: Locating, Analyzing, Mapping with Rick Sayre, CG, CGL and Pam Sayre, CG, CGL. Military Records: From Cradle to Grave with Craig R. Scott, CG. Evening lectures are scheduled for Monday, July 22, with Michael Hait, CG; Tuesday, July 23, with Angela McGhie; and Thursday, July 25, with Pamela Stone Eagleson, CG. These lectures are open to the public. The National Institute for Genealogical Research (NIGR) is held at the National Archives in Washington, D.C. in July. This institute provides an on-site exploration of federal records. Presenters include professional genealogists and NARA archivists and cover records such as military, land, immigration, census, as well as many other types of federal records that can be used for genealogical research. You can sign up online to receive a copy of the registration brochure to be sent out in February by either filling out the Mailing List Form; e-mailing; or writing to NIGR, P.O. Box 118, Greenbelt, MD 20768-0118. Registration forms should be mailed in quickly after you receive them as the institute may fill quickly. The Institute of Genealogy and Historical Research (IGHR) has announced registration times for each course. Most of the courses will fill to capacity in the first hour of registration, so plan to be online at the designated hour if you would like to attend. Here is the message they sent out to their list. 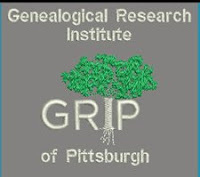 Registration for this summer's Institute of Genealogy and Historical Research (IGHR) will open on Tuesday, January 22, 2013. Every year, some courses fill up in a matter of minutes so be sure to be wherever you have your fastest internet connection at registration time. Each time a new set of courses opens for registration, an email will be sent to the IGHR-L list. The Institute itself will take place on June 9-14, 2013. For more information, including the courses being offered and how to register on the Jan. 22, visit the IGHR website at http://www4.samford.edu/schools/ighr/. I had discovered a new blog from the Board for Certification of Genealogists (BCG) a few days ago and was very excited. It will be a great way to get information out to the public on the certification process and new board-certified genealogists. Now they have issued a press release with details on the blog. The National Genealogical Society has a new course in their American Genealogy Studies series titled "Genetic Genealogy, the Basics." This course was developed by Dr. Thomas H. Shawker, and I share details about it here with the permission of NGS. Thomas H. Shawer, MD, a physician with the National Institutes of Health, is a nationally recognized lecturer on Genetics. He serves as chairman of the NGS Genetic Genealogy Committee. In 2004, he authorized the NGS book, Unlocking Your Genetic History. • the structure of the mitochondrial DNA molecule, how it is inherited, and how it can be used in genealogy. The course is designed for independent study. Students check their work with an answer key that immediately follows each self-test. “Genetic Genealogy, The Basics” is available on a PC- or MAC-compatible CD in a PDF format. The tuition is $45 for members and $70 for nonmembers. For further information, or to purchase the course, visit the NGS website and click on the Educational Courses tab. Please visit the course web page at http://www.ngsgenealogy.org/cs/genetic_genealogy for more information.